Which Aranmula Kannadi is best for gifting during marriages? Many people buy Aranmula kannadi for gifting purpose. one among them are the marriages. 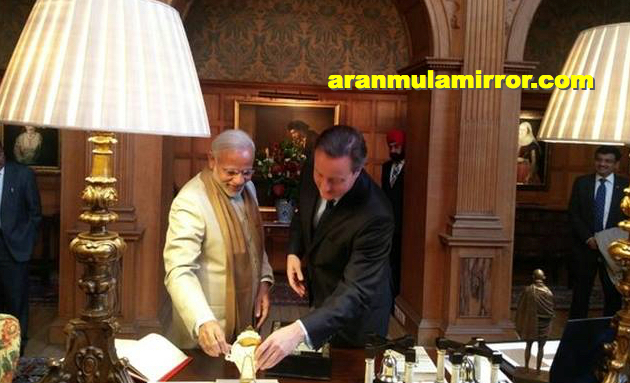 So lot of questions used to ask to us, about which model of aranmula kannadi is best for gifting for marriages? Here is the answer – Any model will suit for that. 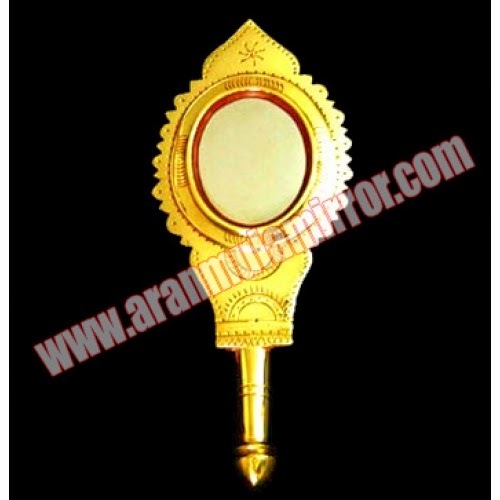 aranmula kannadi comes in three categories- Hand mirrors( valkannadi), backstand mirrors, fixed stand mirrors. each of them are different from others in size, weight and artistic works, and the price. So any aranmula kannadi you can gift for marriages, that too depends on your budget considerations. Remember, if you want to purchase aranmula kannadi, please do not wait for the very last moment. please place the order at least one week in advance. 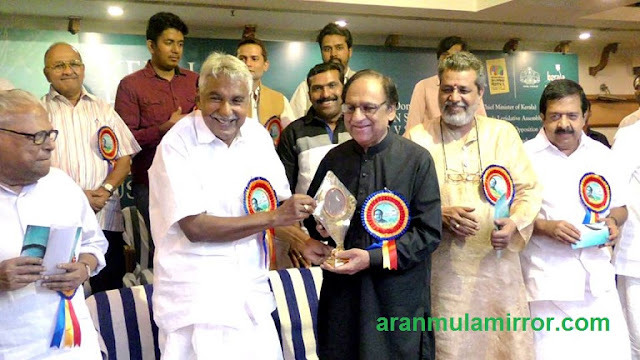 Aranmula Kanandi – Why it is so special? 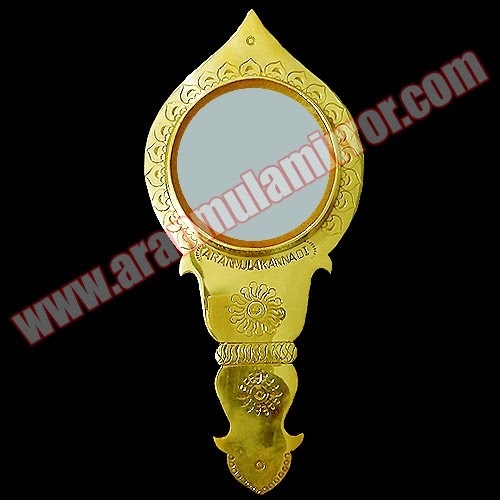 Aranmula mirrors are handmade metal-alloy mirrors, made in Aranmula, a village in the state of Kerala, India. Unlike the normal ‘silvered’ glass mirrors, being a metal-alloy mirror, it is a front surface reflection mirror, which eliminates secondary reflections and aberrations typical of back surface mirrors.The myth about the origin and secret of its composition makes it a truly fascinating craft. 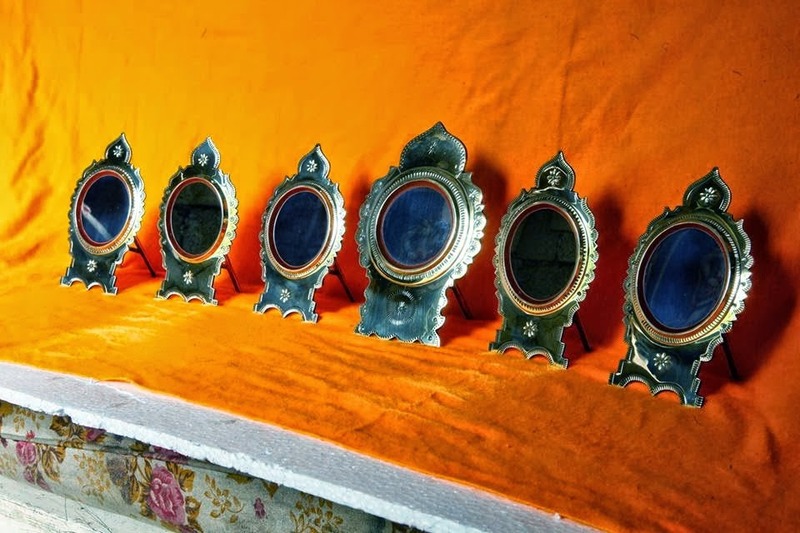 As traditional as the mirror-making technology is, the artisans’ belief that the composition of the metal mirror is divine and some undisclosed metals alloyed with silver, bronze, copper and tin are responsible for the distortion-free images. 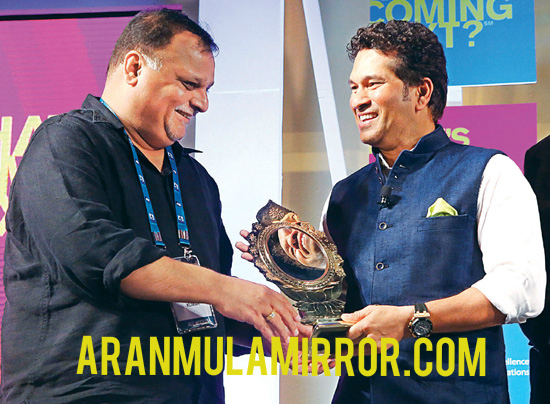 Aranmula, the famed mirror-making centre in Kerala has enormous tourist potential, which the State government could tap, said Prabhakar Dubey, Director in the Union Ministry of Tourism. The Centre was ready to support tourism infrastructure development in Aranmula, if the State Government submitted a detailed project report. 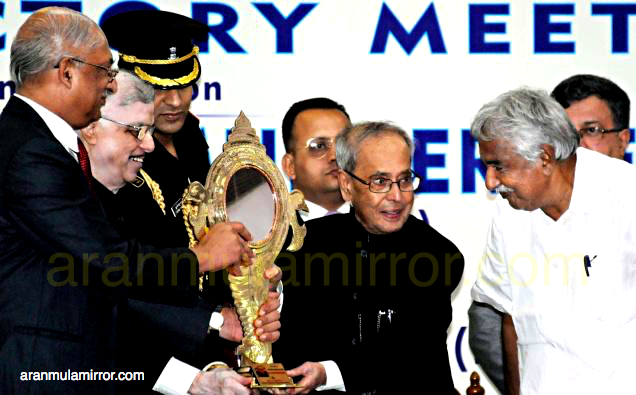 Dr Dubey was talking to reporters during a visit to Aranmula on Wednesday. The well-known town, he said, had immense tourism potential. Visiting a workshop making the Aranmula Kannadi (metal mirror) on the banks of the river Pampa, he said the metal mirrors would be one of the two artefacts from Kerala to be exhibited at the World Tourism Fair at Los Angeles in September. 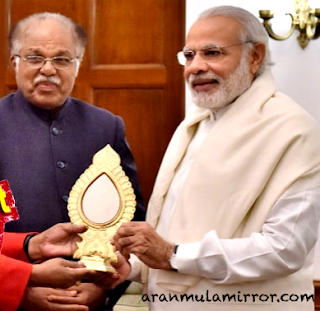 This is a unique recognition for the world famous aranmula kannadi. Because it can’t be compare with any other artefacts since each of aranmula kannadis are very unique and different from each other, all of them are 100% hand crafted thus custom made.